Welcome to Dublin city storage, when it comes to moving services, we provide a whole new meaning to quality and affordable moving services. To date, we provide exceptional commercial and domestic removals services which all our customers can afford. We can provide you with a professional and stress-free service. As a company, we will always try to accommodate and be flexible for all our customers. 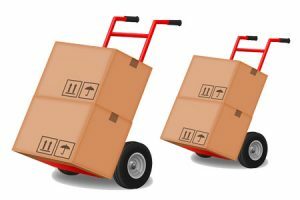 If you are looking to move your belongings into storage or perhaps a new home, well look no further than us, we specialise in a home to home removals for any kind of move including furniture removals. We can provide a large fully equipped removals truck that will ensure all your belongings are safe and secure. Why Choose us for your Moving Services in Dublin? Irish owned company who are fully licenced and insured and will live up to their reputation of being the top moving company in Dublin. With our years of experience, we are confident that we can provide world-class and professional moving services. Our moving experts know exactly how to handle and transport everything correctly and safely for a complete and smooth move. We are friendly, flexible, and always on time for every delivery, every time. It’s as simple as picking up your belongings and delivering on time. Our furniture removals service is second to none, we can save you time and money. Our prices are very competitive and accurate. Every move for us is taken personally. We will move all your belongings with care to ensure everything is moved safely, on budget, and on time. Let us take the weight off your shoulders and provide you with the best moving experience there is. There is no job is too big or too small!